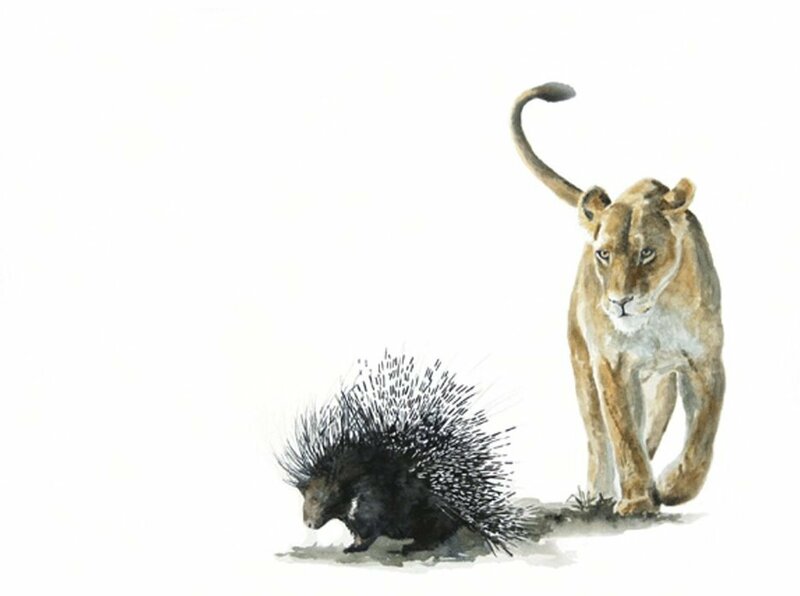 Original Painting of a lion showing interest in a porcupine. 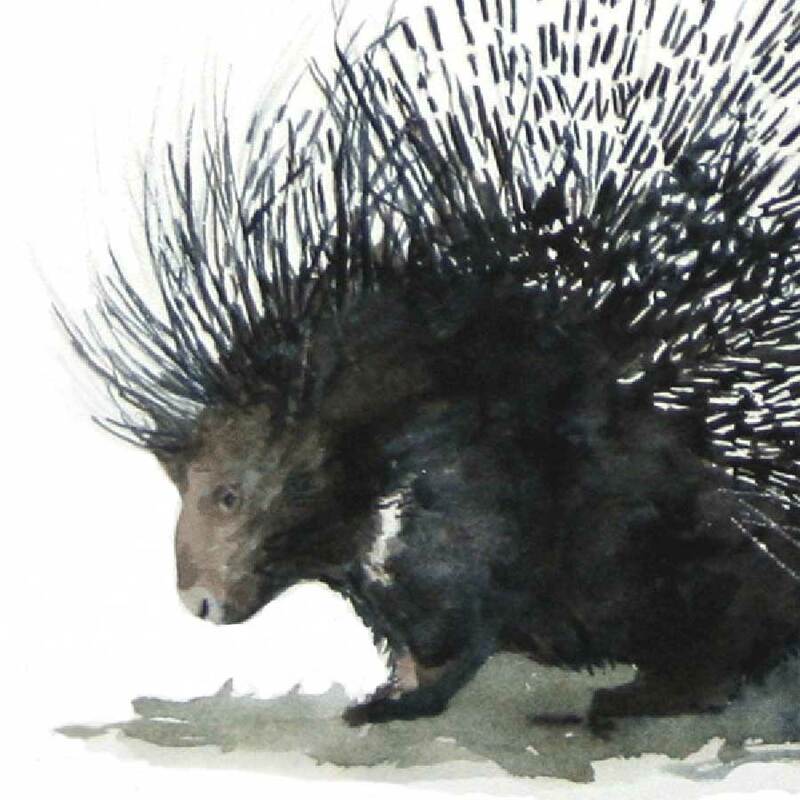 Porcupines must be very tasty, because hunting them seems to be worth the risk of their quills. 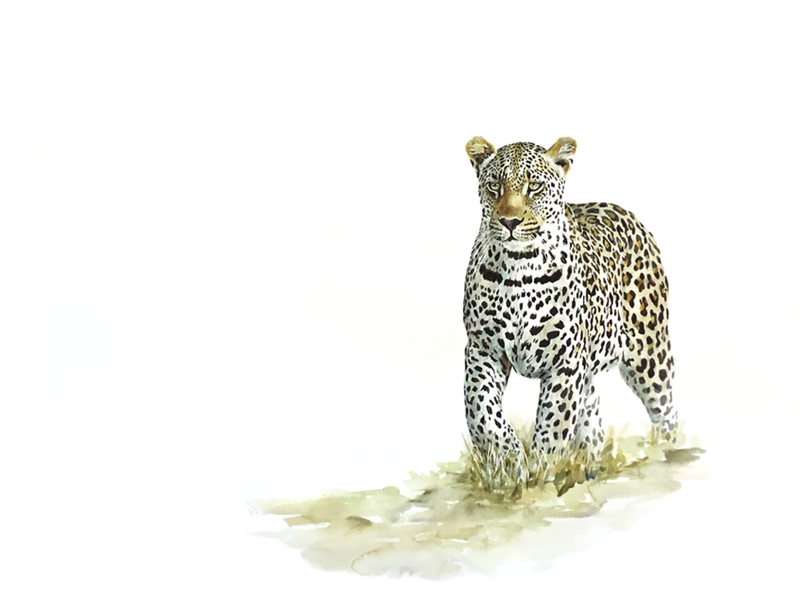 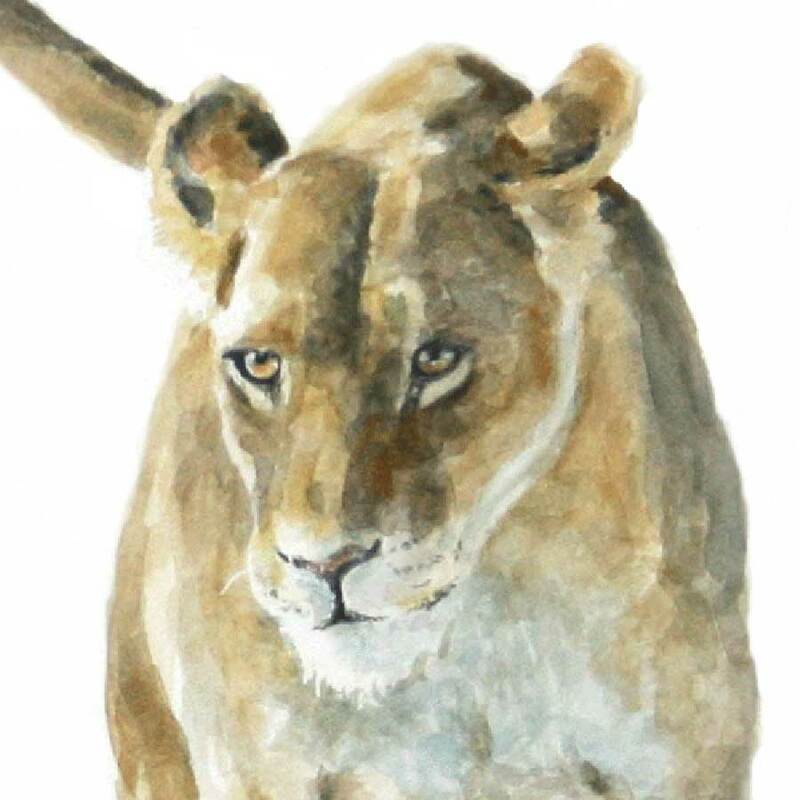 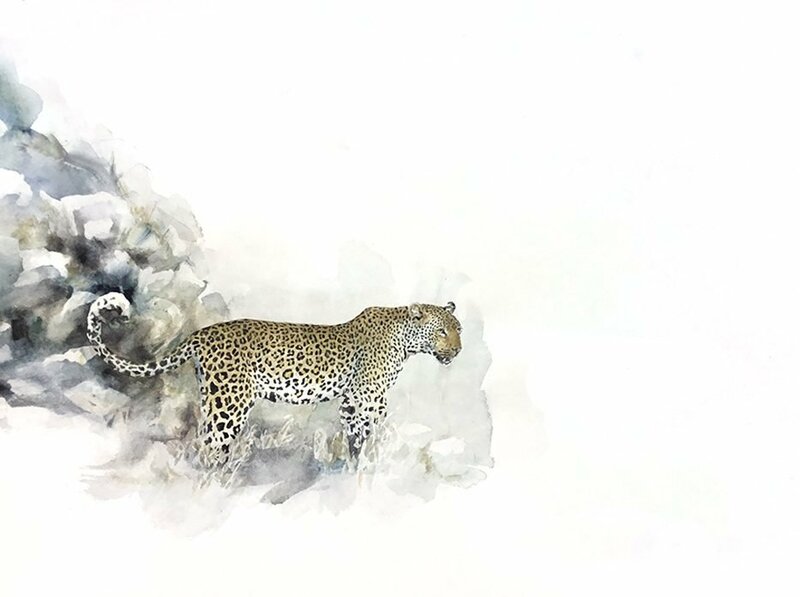 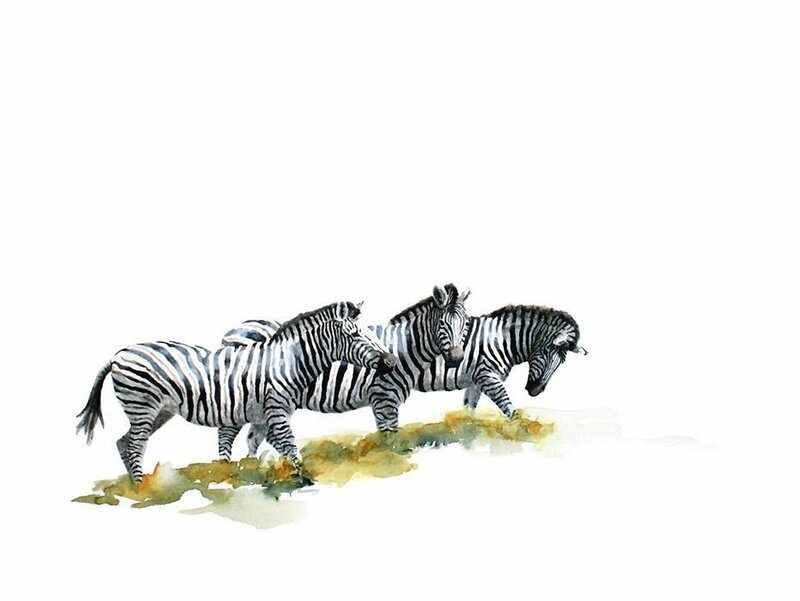 Original watercolour watercolor wildlife painting by renowned South African wildlife artist, Sue Dickinson.